Remember when I was talking about this Crosby Sutton Marc Jacobs bag on Instagram? The one that I fantasized about? The one that I couldn’t live my life without? Yeah, that one. Tag! I bought it! AND, I bought these Pierre Hardy shoes and almost returned them because I just couldn’t figure out how to style them. Crazy right? But when I introduced the shoes to the bag it was a match made in beautiful blue heaven! Next Post Memo 046: Flower Bomb Explosion! I absolutely LIVE for your hair cut. I'll be back in AZ in a few months and will be hitting up Kim (Apricot Lounge Salon) in Scottsdale to have her way with my tresses. Loving this look. You always pull things together so nicely. Adore your style and your shoes are simply amazing. Werk it! Yes Indeed!I've loved those shoes since I saw them in NetAPorters weekly magazine. LOVE it! Gasp! 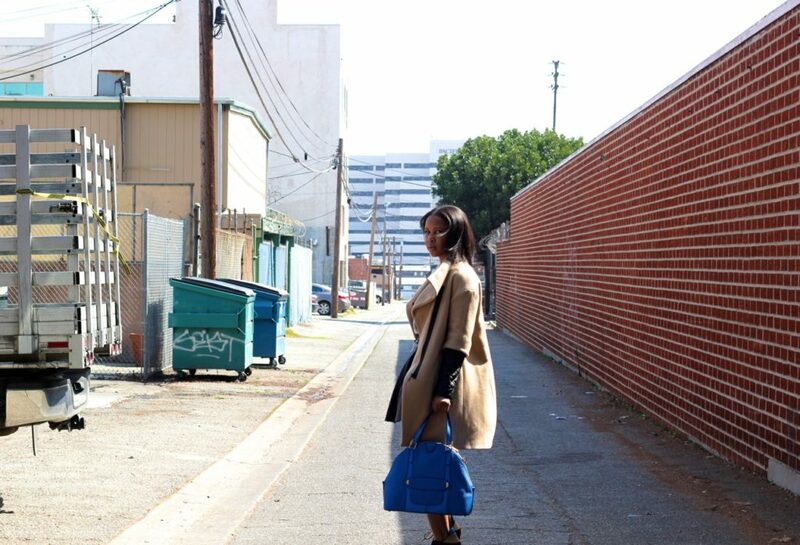 that bag….. Love the outfit and your hair as well. This is definitely my favorite look of yours. The shoes, bag, sweater all give me LIFE! I love your outfit! That bag is amazing. Love the pops of color.